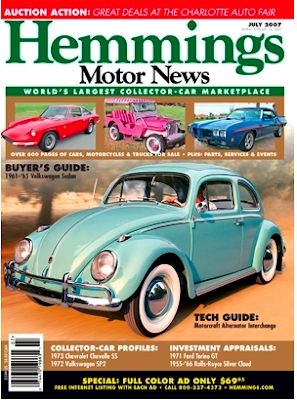 Big Blue's Online Carburetor: 1961-65 VOLKSWAGEN SEDAN AND SUNROOF SEDAN from Hemmings Motor News. 1961-65 VOLKSWAGEN SEDAN AND SUNROOF SEDAN from Hemmings Motor News. The Ford Model T held the record for being the most produced vehicle in automotive history until 1972; this inexpensive, simple "people's car" was the first taste of motoring for millions of Americans. The Volkswagen Sedan followed in the Model T's tire tracks and was embraced by America and the world, eventually surpassing the T's popularity through an astounding seven decades of production. Although Toyota's Corolla has recently taken the most-produced crown, the charismatic Volkswagen remains number one for legions of devoted fans. With reasonable prices and excellent parts availability, the classic VW "1200" Sedan and Sunroof Sedan make practical collectibles that you can drive every day. 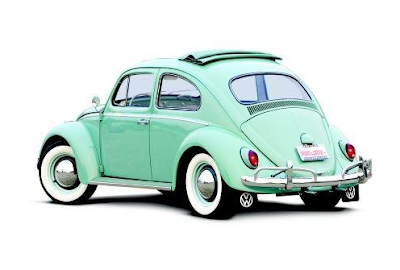 Despite its general design dating back to the late 1930s, the Volkswagens of 1961 looked much the same as they always had, although a major change rested under their clamshell rear engine cover. 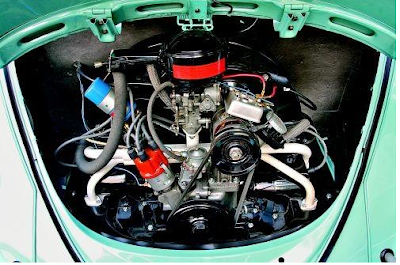 The long-lived 36hp, 1,192cc air-cooled flat-four engine was altered with a higher (7.0:1, from 6.6) compression ratio, an automatic choke-equipped Solex one-barrel downdraft carburetor and a new air cleaner; the result was a 4hp increase. The exclusive four-speed manual gearbox was redesigned with a one-piece (versus the previous split) case, and a redesigned luggage compartment and new 10.6-gallon gas tank offered 65 percent more under-hood storage. Cosmetic changes included color-keyed running boards and fender beading, and a standard driver's external mirror and ashtray. 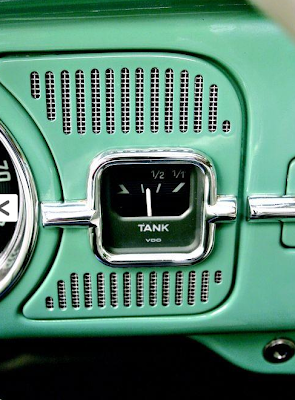 The practice of driving until the engine sputtered, then activating the reserve tap, was made redundant with the introduction of 1962's in-dash mechanical fuel gauge. Larger taillamps and three seatbelt mounting points for front seat occupants improved safety, while sliding doors for floor heat vents, counterbalanced luggage compartment springs and a spare tire air-pressurized windshield washer reservoir were other changes. 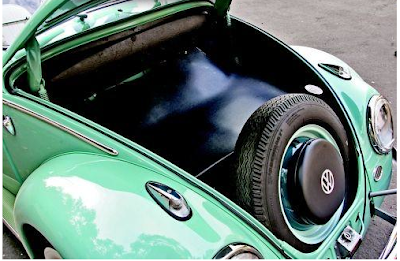 Volkswagen continued making subtle improvements on the Sedan and Sunroof Sedan in 1963, when a "fresh air" heating system drew external air, instead of that from the engine compartment, to warm the car through front and newly adjustable rear heating vents. The fan shroud of 1963 was exclusive to this year, while the sliding vinyl sunroof made its last appearance. 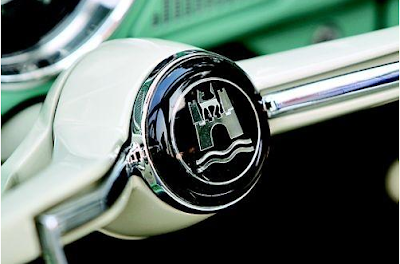 A crank-to-open steel sunroof was the highlight of the 1964 Sunroof Sedan, while both variants received a new Solex carburetor and air cleaner, larger front indicators and a wider license plate lamp. 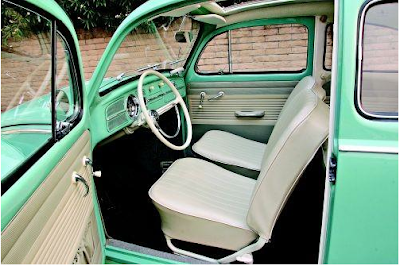 In a move echoing the Model T, the VW Sedan's selling price of $1,595 dropped to $1,563 for 1965, a year of important body changes; larger windows on all sides improved driver vision, under-carpet insulation quieted the ride and redesigned seats offered more rear passenger knee room, while the rear seatback folded flat for more luggage space. 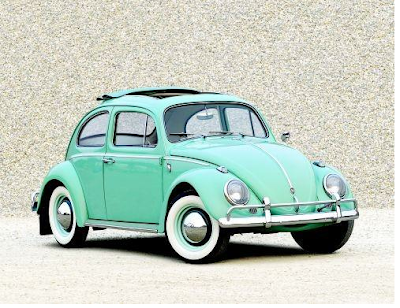 Engine, suspension and electrical changes would be on the horizon for Volkswagens in the late 1960s, when the charmingly simple vehicles would lose some of their simplicity due to government safety and emissions regulations. 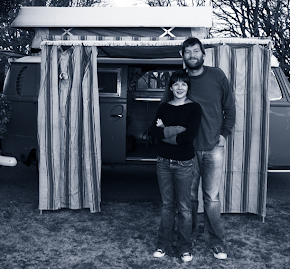 While Volkswagens were famous for their airtight construction, they do have a propensity towards rust; inspect the metal around the battery tray, the tops of the rear shock towers and the spare tire well, and the seams behind the front wheels. 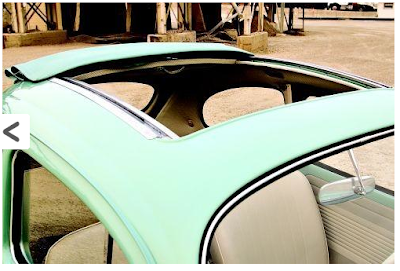 Sunroof Sedans, like our beautiful Turquoise Green 1962 Deluxe feature car, restored and owned by Tom Mohr of Clovis, California, are more prone to floorpan corrosion from interior moisture. Correct upholstery and carpeting are still available and are relatively inexpensive. Connie Holcomb, owner of Connie's Repair Service in Watertown, Wisconsin, has been a VW technician since 1961, and he cautions not to use engine oil heavier than 30 or 10W-30 weight, as the increased friction raises operating temperatures. He also suggests ensuring the cylinders have more than 100 pounds of compression, as well as wiggling the crankshaft pulley to note any end play, which likely indicates main bearing wear that necessitates a rebuild. The VW transaxle combines the four-speed gearbox and differential, and although grinding noises during shifting indicate worn synchronizers, they're durable units that can be rebuilt. The four-wheel drum brakes are adequate for these cars' sub-2,000-pound curb weight, and quality replacement parts ensure good braking performance. Worn front suspension components are exposed via play that happens while shaking the top of each front tire. 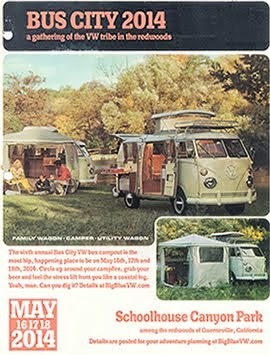 A large and dedicated group of air-cooled Volkswagen hobbyists and specialist mechanics have found ways to make these now 40-plus year old VWs more compatible with today's traffic; while their stock top cruising speed of 72 mph could make them impediments on the interstate, more power is available in the form of tuning or straight-out larger-displacement engine swaps, while front disc brake conversions add a further margin of safety. For the price of a five-year-old Corolla, you could be driving the most beloved of all people's cars--the one-and-only Volkswagen. That final photo made me think I was wrong about LB's fuel pump being aftermarket, but then I noticed it (the Beetle in the picture) had a 009 and a Bosch Blue coil, so the set-up presented is not stock. So I think the jury is still out as pertains the fuel pump, and that the mystery liquid might be glue from it. If you find out what the liquid is (and whether that fuel pump is stock), I am very interested in the results.